The very first Adventures of a Domestic Enginer free GIVE-AWAY is…. A new food holder accommodates larger fruits and veggies! Three interchangeable stainless blades — crinkle cutting, v-shaped slicing and adjustable slicing — remain flush until the holder passes over a unique mechanism, exposing blades. A fourth, fixed grating blade adds versatility. 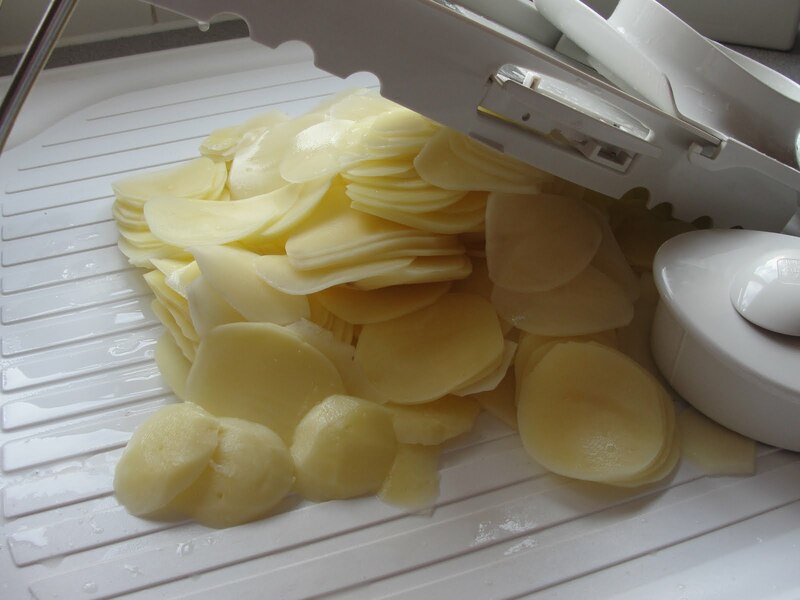 Lay the mandoline over a bowl or extend the easel on a cutting board. Includes nesting tool box for blades. Dishwasher-safe. A prize worth $65!!! 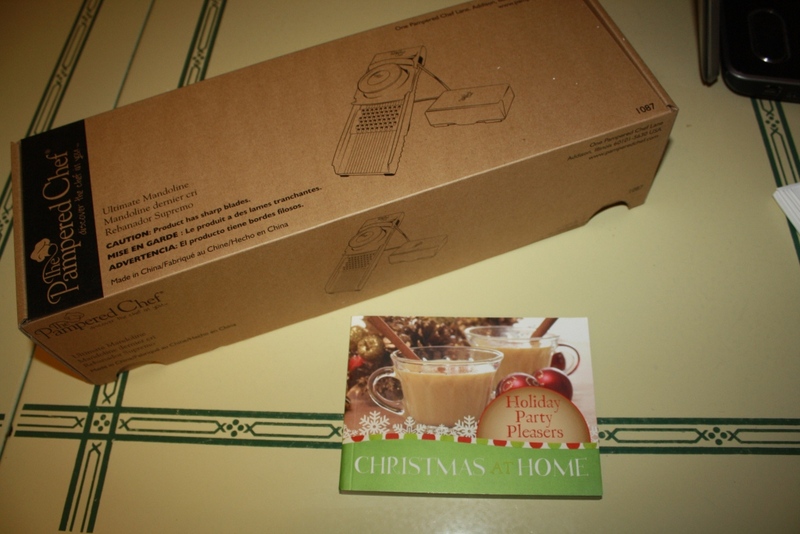 A great tool for your kitchen OR a great Christmas Gift! The winner will recieve it in time for Christmas! So I am throwing in a Christmas Recipe book with lots of great ideas for appetizers, drinks, sides, desserts. 1) Must be a Facebook Fan of the Domestic Engineer. Click here to become a fan. ** I will be choosing a winner ONLY FROM THIS POST (please don’t comment on the Facebook posts. YOU MUST come back to this Give-Away Post and comment here). This entry was posted in About Food, About Fun Stuff, Misc. 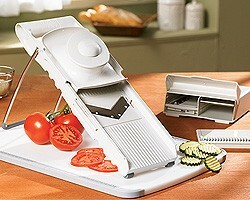 and tagged Christmas Recipes, Give-Away, Ultimate Mandoline. Bookmark the permalink. 17 Responses to FIRST GIVE-AWAY! Done!! Meant what i said too! Love reading your blog Jenna!! I love you blog. Count me in! What I REALLY meant to say was….I love YOUR blog. Oops!